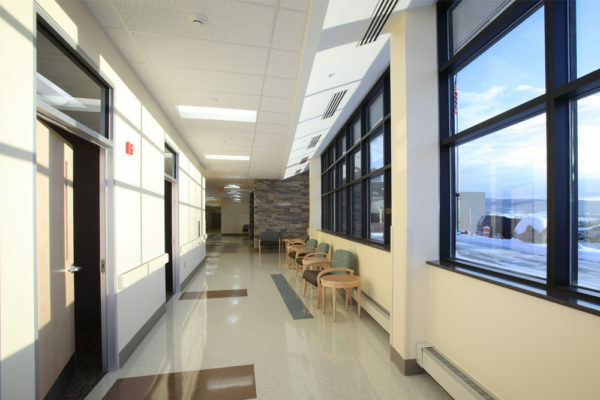 Schuyler Hospital’s 18,000sf addition and renovation project created a new welcoming face to the Schuyler community and provided updated and enhanced access to outpatient services. With an improved drop-off canopy and new main lobby, the design clearly separates the clinical circulation from the public circulation. An expanded surgical suite improves the size and quality of the specialized space and maximizes efficiency for patient, staff, and material flow. A new multi-purpose procedure suite houses instrument processing and other support services, giving Schuyler flexibility to offer a wider range of services in response to community demand. 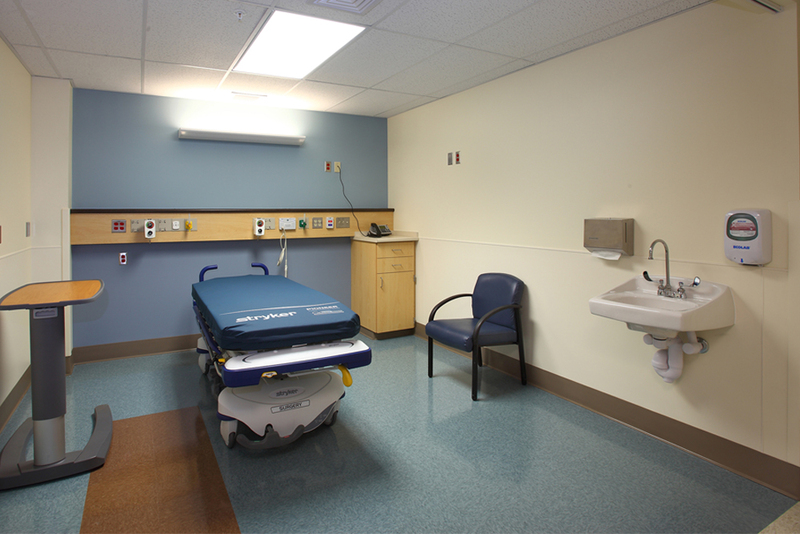 A four-bed post-anesthesia care unit and seven-bed pre- and post-operative care unit with central nurse stations incorporates flexibility to grow and shrink throughout the day or week as patient volumes vary. Renovations to the imaging department create operational efficiencies by relocating the ultra-sound room to improve patient and staff access, laboratory renovations upgrade the microbiology testing area and provide a new outpatient phlebotomy area, and administrative office renovations consolidate and improve efficiencies.